What's the most adventurous game you've played? Mine? 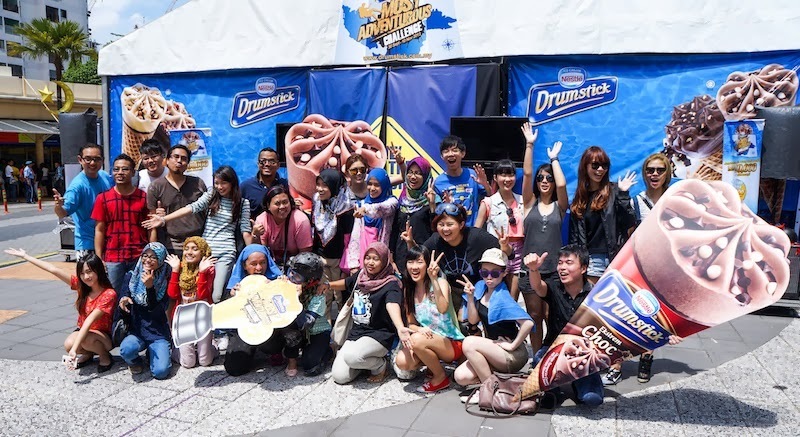 I think it would be the Nestlé Drumstick Most Adventurous Challenge I joined last two weeks. The name of the game pretty much speaks for itself. Basically, I need to get a Nestlé Drumstick (ice cream) while passing through all the obstacles which they dropped flour, water, jellies and even floats. 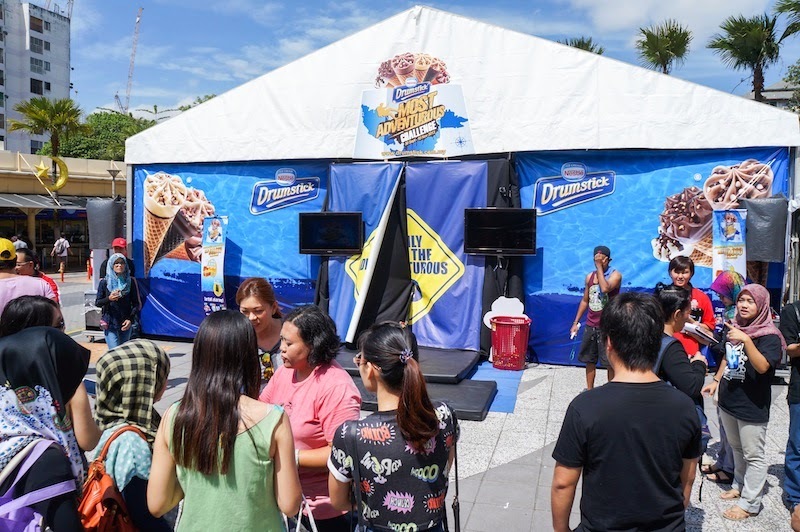 Contestants and bloggers were gathered outside Sunway Lagoon entrance to experience our most adventurous challenge with Nestlé. Popped Nestlé Drumstick in choco flavour and snapped pictures with blogger friends, Melissa and Jessica while waiting for my turn. Getting ready beautifully (when my hair and clothes stayed nicely) before I ran into the mysterious tent which I don't know what thing will pour on me. The next thing I knew is I had to wear the safety helmet and goggles (not so beautifully prepared) before entering. 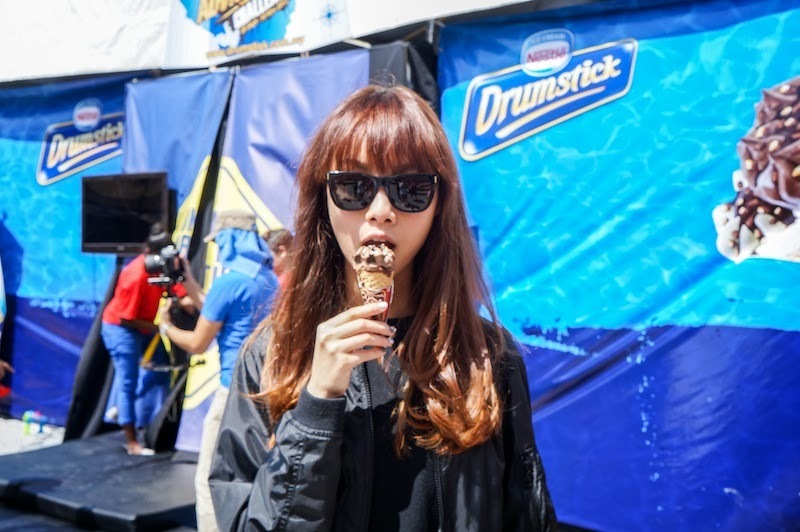 I came out grabbing a drumstick, looking miraculously happy at the same time embarrassed because I thought I could win the cash by running in-and-out within 5 seconds. But too bad, it took much longer than I've imagined. This is brought to you by Nestlé.